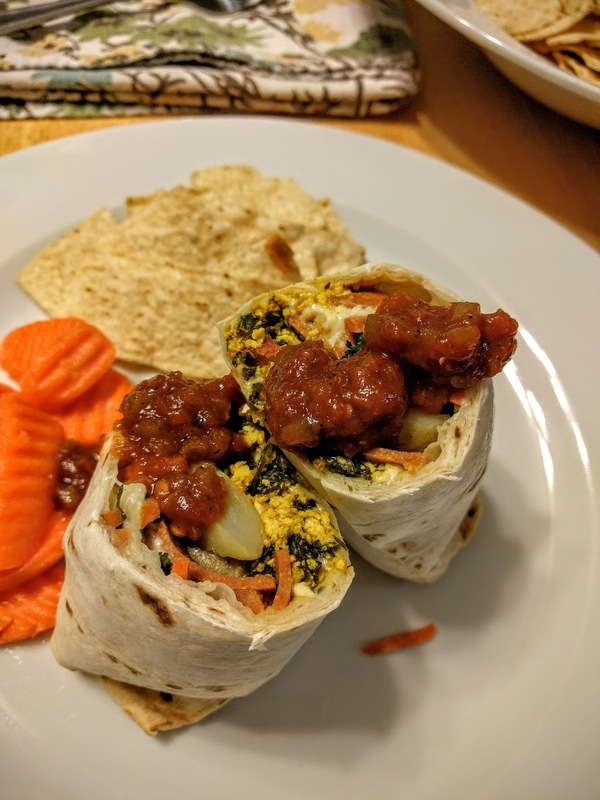 So, we like to batch cook burritos in this house, so I would like to share with you a recent recipe we came up with for vegans and non-vegans. 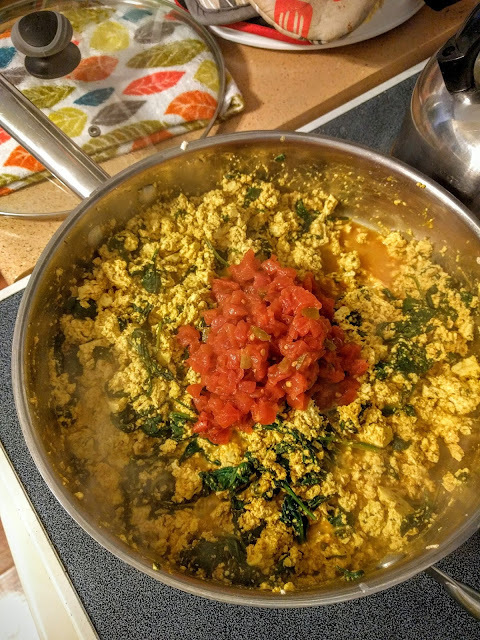 This recipe is enough to make 16 burritos, 8 vegan and 8 non-vegan, so if you want to just make vegan, omit the non-vegan items and half the shared items. More than anything, these are to inspire you to make your own amazing breakfast burritos. 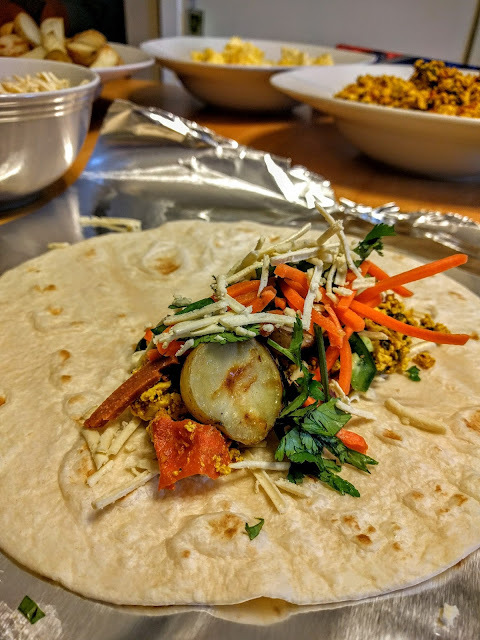 When I make batch burritos, I usually spend a few hours on a Sunday making them. 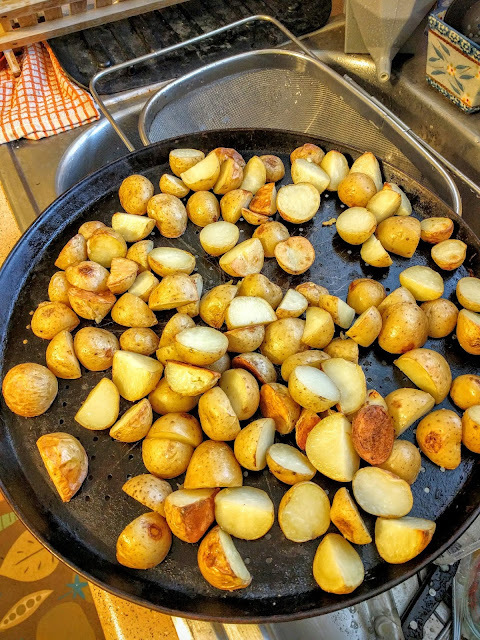 We then have easy dinners for weeks to come. These freeze and reheat great, so enjoy! 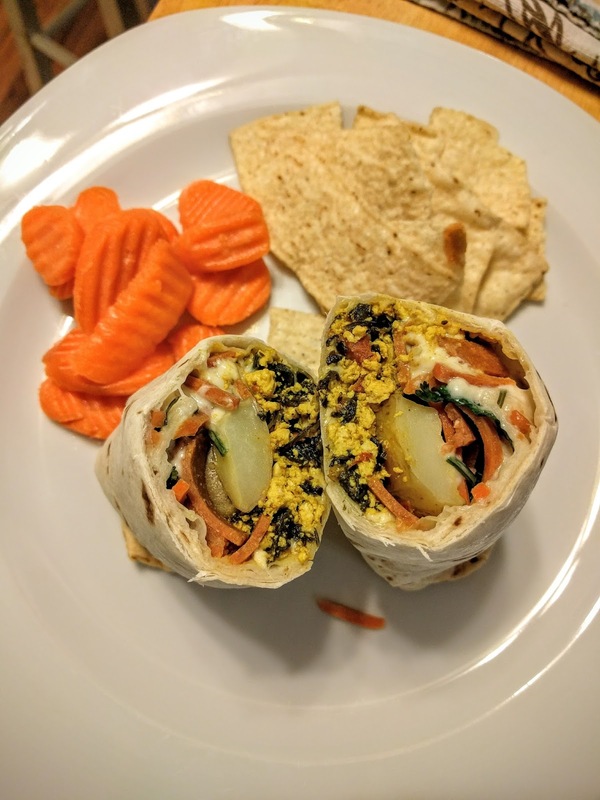 The inspiration for these burritos came recently when I had breakfast with my mom at The Root Cafe. 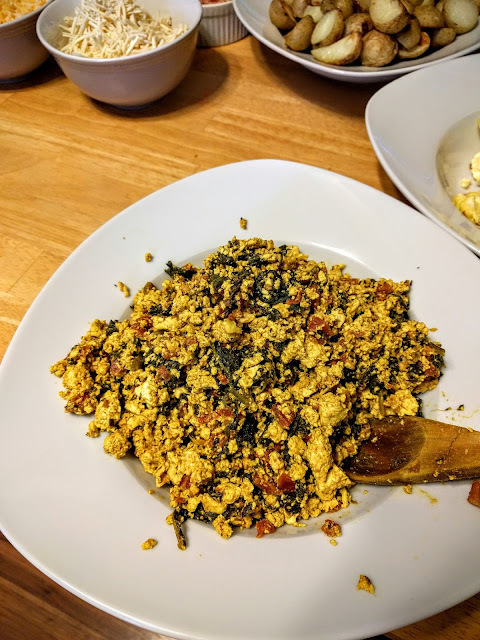 We both got the breakfast banh mi, but I got tofu scramble (which is hiding under those amazing carrots), and she got eggs. I started thinking, "I bet these would be great in a burrito." And so they were. To assemble, set all your ingredients out so you can easily put the burritos together. Your assembly like should have everything within reach. I'm going to give you the order in which I put everything in our burritos. Play with your own order and ratios, if you'd like. Wrap burrito then wrap in foil. Freeze together wrapped in foil in a ziplock bag. 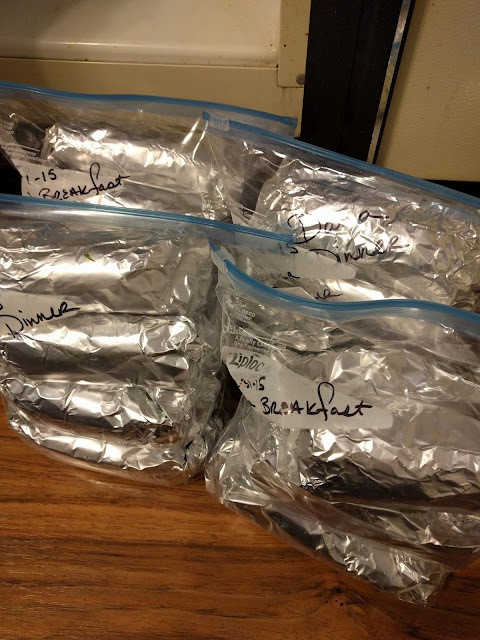 To reheat the burritos, place in a 400 degree (F) oven in foil for 1 hour. Serve with salsa! 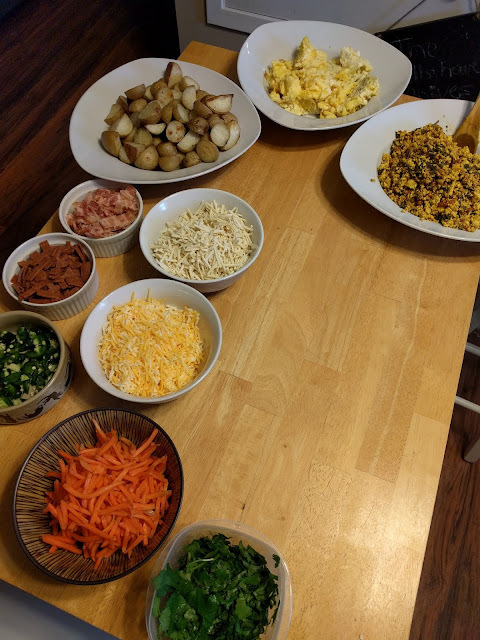 I actually made 32 burritos this day, but I'll tell you about the dinner burritos another time. 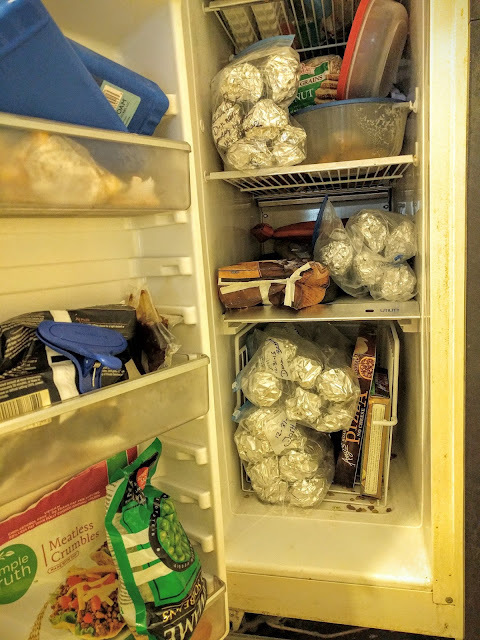 I am always more happy when our freezer is full of burritos. I'm not even sure why I make dinner burritos, because we always eat the breakfast burrito ones first. They're so good, and who doesn't love breakfast for dinner?! These would be a great thing to make if you have a bunch of people in your household that eat a variety of different foods. I even took some of these over to a friend that just had a baby, and even though they're not vegan, I think they liked the vegan ones the most! How did you enjoy my first co-meal post? 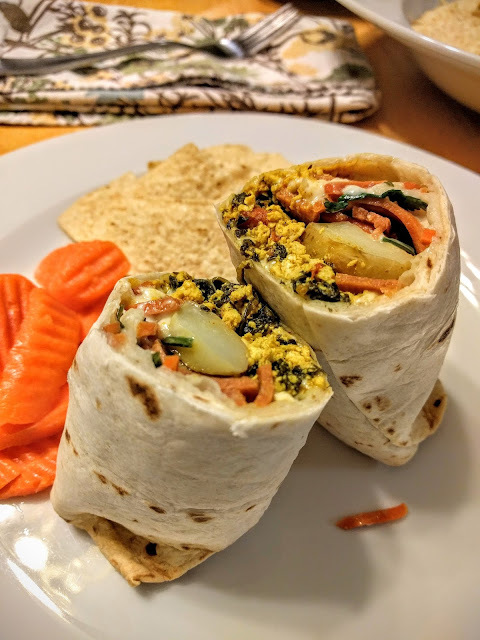 Are breakfast burritos something you eat regularly? Leave me a comment! 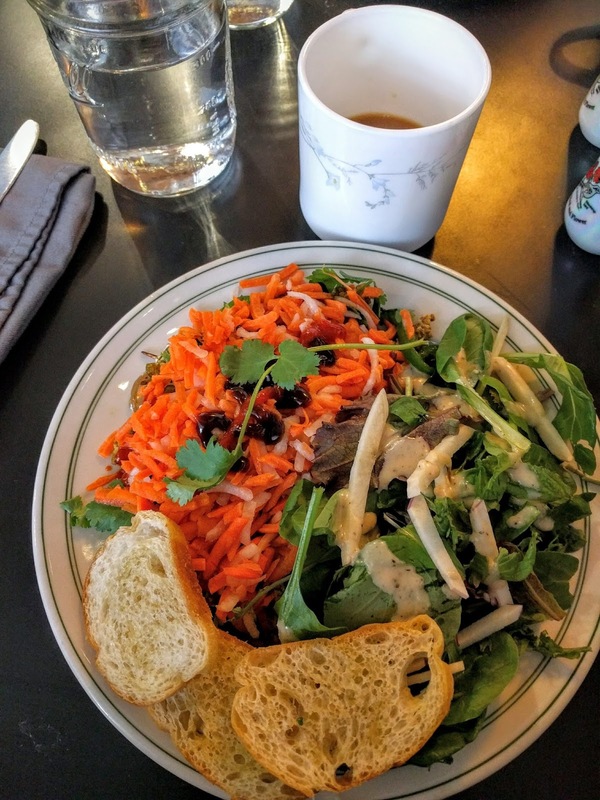 I think the co-meal posts are a great idea. I know there are many vegans who share a home and a kitchen with non vegans, and this kind of cooking makes mealtime much easier. I love breakfast burritos! I also love breakfast burritos for dinner! Thanks! It really does make cooking so much easier. Plus, breakfast burritos are the best. 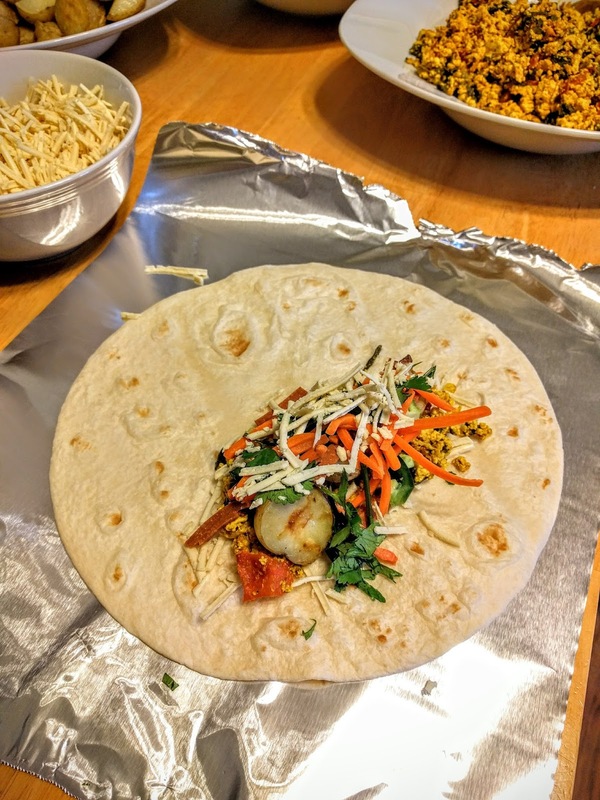 I love it when you make batch burritos! I really need to start doing that instead of spending almost $4 a piece on Sweet Earth burritos. 32 burritos! OMG! And you're right — breakfast 'ritos top dinner 'ritos any day! Yay! I need to break down what the cost per burrito is, but I'm assuming it's less than 4 bucks.